Home Unlock ZTE How to Unlock ZTE MF65M? How to Unlock ZTE MF65M? Unlocking of ZTE MF65M router is possible. It is a sub-model of ZTE MF65 and unlocking is supported by factory unlock code. Our team can provide the correct factory unlock code of ZTE MF65m router. Once the device is unlocked, you can use the default as well as another carrier SIM card. The ZTE MF65M features HSPA+/HSUPA/HSDPA/UMTS2100/1900/900 (850) MHz and EDGE/GPRS/GSM 850/900/1800/1900MHz operating frequency bands. 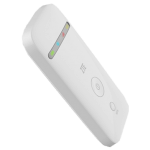 It supports Wi-Fi 802.11b/g/n and can connect up to 10 WiFi-enabled devices simultaneously. It’s HSPA+ download link is 21.6Mbps and upload speed limit is 11Mbps. It measures 102 x 50 x 13.7mm and packs a 1500mAh battery. It is built on MediaTek MT6280A chipset. It has 4 LED light indicators. It is equipped with microSD card slot (up to 32GB) and USB 2.0 port. It can be operated on Win8, Win7, Windows XP, Vista, Linux, and Mac OS. The approximate delivery time for an unlock code of ZTE starts from 1 hr to 24 hrs. The average response time is 2 hrs (Based on last 100 orders). 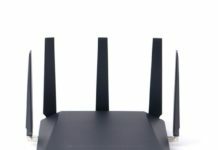 How to Unlock ZTE MF65M Mobile WiFi Router? 1. Change the default SIM card of MF65M with any other network provider. 2. Connect to PC using USB cable or WiFi. 3. Open My Computer >> Virtual CD-ROM. 4. Install on your PC. 5. Now it will open the default web page of the device (192.168.1.1). 6. Login to the device with admin/password. If not, then search option under Settings for SIMLock / NCK. 8. Enter the NCK / unlock code which is provided by routerunlock.com and press Enter from the keyboard. 9. Once the device will accept the code, it will start showing the signal of inserted SIM card. 10. Now create a new profile and connect to the internet. Note: Unlock code of ZTE MF65M is not free. We can provide the factory unlock code for ZTE devices. Previous articleHow to Unlock ZTE MF700? Next articleHow to Unlock ZTE MF65+?